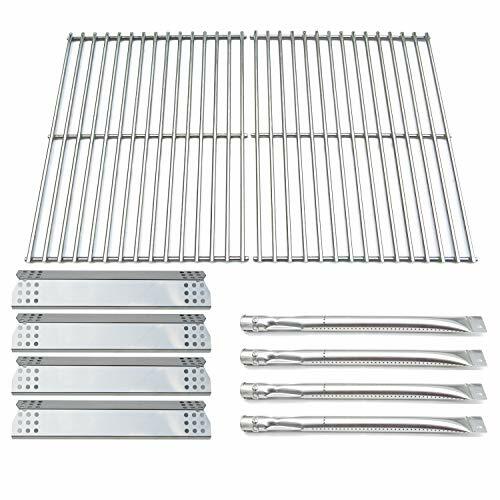 Direct store Parts Kit DG145 Replacement Sunbeam,Nexgrill,Grill Master 720-0697 Gas Grill Burners,Heat Plates,Cooking Grids; Fits Sunbeam : 720-0697 Gas Grill; Nexgrill : 720-0697 Gas Grill ; Grill Master : 720-0697 Gas Grill; Condition: New; Direct store Parts Kit includes 4 Stainless Steel burners, 4 Stainless Steel heat plates, and 1 set of 2 Solid Stainless Steel Cooking grids. 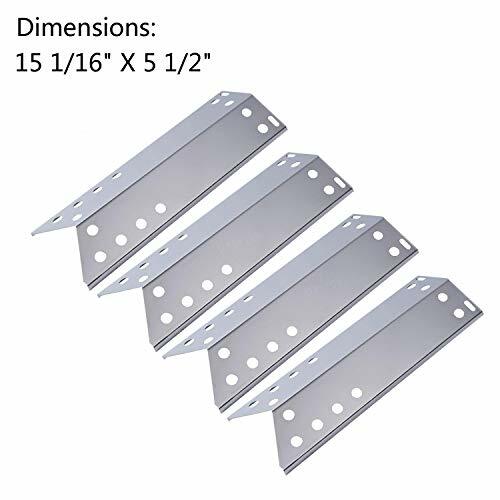 Direct store Parts Kit DG142 Replacement Sunbeam,Nexgrill,Grill Master 720-0697 Gas Grill Burners,Heat Plates; Fits Fits Sunbeam : 720-0697 Gas Grill; Nexgrill : 720-0697 Gas Grill ; Grill Master : 720-0697 Gas Grill; Direct store Parts Kit includes 4 Stainless Steel burners and 4 Porcelain Steel heat plates. 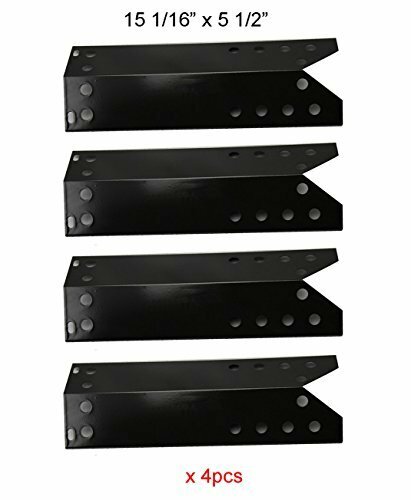 Hongso SBD251 (4-pack) Replacement Sunbeam,Nexgrill,Grill Master 720-0697 Gas Grill Burners. 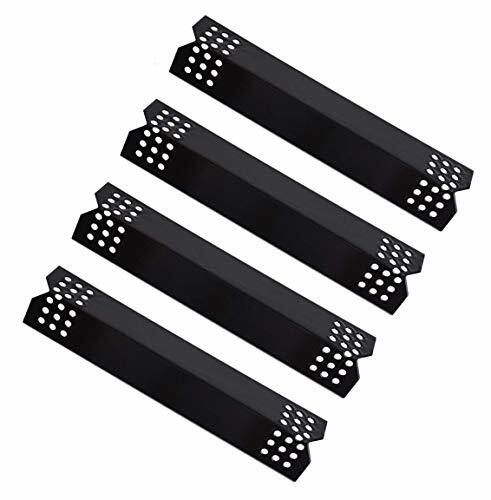 Fits BBQ Tek Models: GSF3016E, SSS3416TB, Bond Models: GSF2616AC. Brinkmann Models: 810_1415_F, 810_9400_0, 810_9490_F, Pro Series 810_9400_0. Brinkman Part Numbers: 812_7140_0. 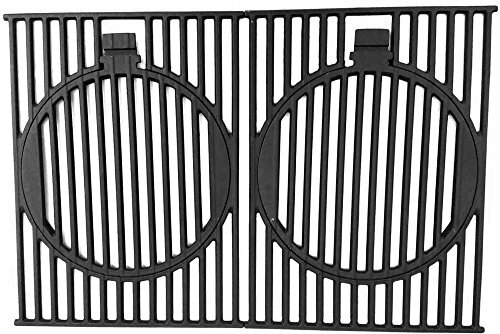 Grill King Models: 810_8425_S, 8108425_S, 8108425S. Grill King Part Numbers: 812_7140_0. Grillmaster model: 720_0697. Master Cook Models: SRGG30001B. Presidents Choice Models: SSS3416TCS. IMPORTANT: Make sure you measure the size of your original parts and compare with ours BEFORE you order. 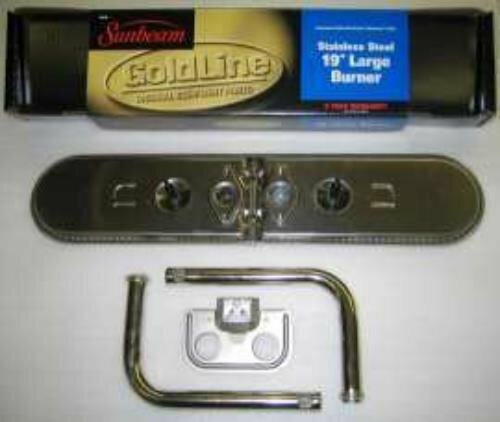 Replacement for Kenmore Sears, Nexgrill, Sunbeam Grillmaster, Lowes Model Grills. 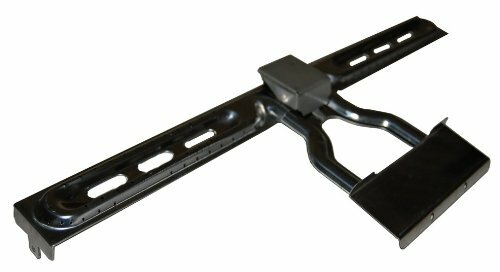 Replacement part for Kenmore Models 122.16431010、122.16538900、122.16539900、122.16641900、16539、16641、640-26629611-0、640-82960811-6、640-82960828-6、720-0670A. 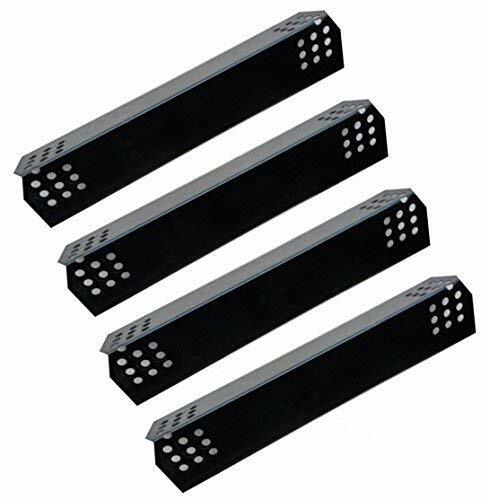 Replacement part for Nexgrill Models 720-0670A、720-0670C、720-0670E、720-0679B、720-0679R、720-0718A、720-0718B、720-0718C、720-0718N Replacement part for Grill Master Models 720-0670E and Uberhaus Models 780-0007A grills . 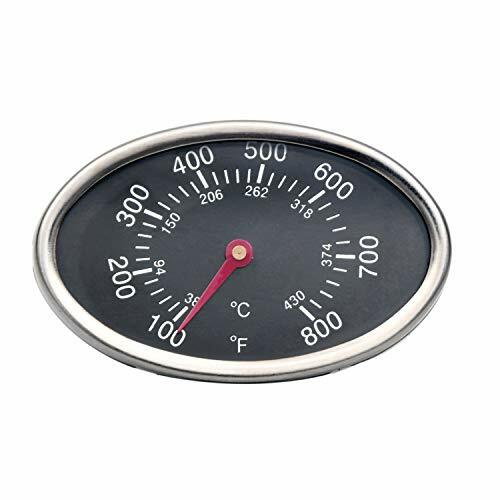 SPECIFICATION: Dimensions:15 1/16" X 5 1/2". 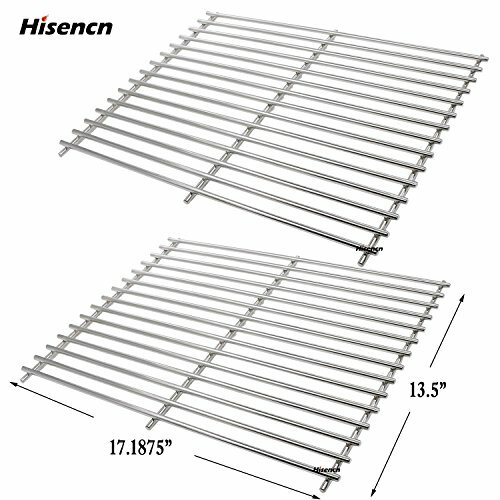 Materials: stainless steel grill heat plate. Package:set of 4 packs. Aftermarket replacements, please check dimension and models of your original parts before you order. 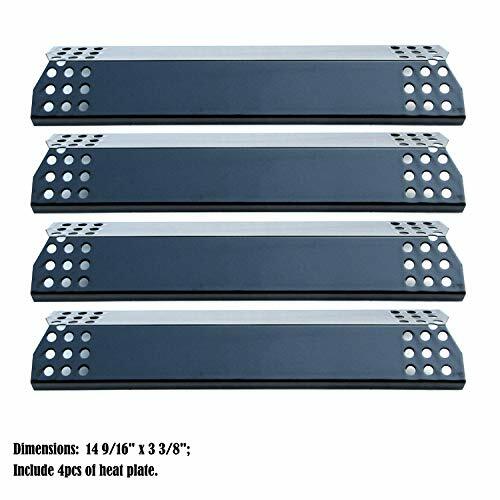 Zljoint(4-pack) Stainless Steel Heat Plates, Heat Shield Replacement for Kenmore 119.16144210, 119.162300, 119.162310, 119.16301, 119.16301800, 119.16302, 119.16302800, 119.16311, 119.16311800, 119.16312, 119.16312800, Kenmore 119.16433010, 119.16434010, 119.16658010, 119.16658011, 119.16670010, 119.16676800, 119.17676800. 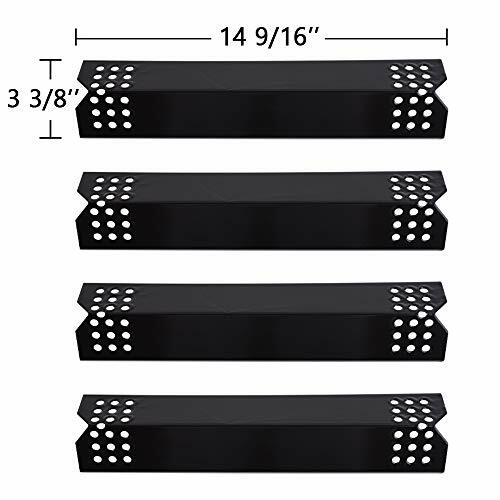 Dimensions:14 9/16" x 3 3/8"
PH6781(4-pack) Porcelain Steel Heat Plate for Grill Master 720-0670E, Grill Master 122.16431010, Grill Master 122.16538900, Grill Master 122.16539900, Grill Master 16539, Grill Master 16641, Uberhaus Models 780-0007A, Kenmore 122.1643101, Kenmore 122.16431010, Kenmore 122.16435010, Kenmore 122.1650001, Kenmore 122.16538900, Kenmore 122.16539900, Kenmore 122.16641900, Kenmore 122.16641901, Kenmore 16539, Kenmore 16641, Kenmore 640-26629611-0, Kenmore 640-82960811-6, Kenmore 640-82960828-6, Kenmore 720-0670A, Kenmore 720-0718, Kenmore 720-0679B, Kenmore 720-0679R, Nexgrill 720-0549, Nexgrill 720-0670, Nexgrill 720-0670A, Nexgrill 720-0670B, Nexgrill 720-0670C, Nexgrill 720-0679, Nexgrill 720-0679B, Nexgrill 720-0679R, Nexgrill 720-0718, Nexgrill 720-0718A, Nexgrill 720-0718B, Nexgrill 720-0718C, Nexgrill 720-0718N, Kmart 640-26629611-0, Kmart 640-82960811-6, Kmart 640-82960828-6. Dimensions: 15 1/16" x 5 1/2" Material: Porcelain Steel.Cooks better! Lasts longer. Features:- Dimensions: 14 9/16 x 3 3/8 inch. 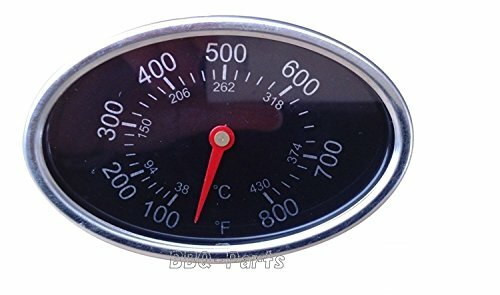 Please make sure measure the size of your original parts and compare with ours before ordering- Material: Porcelain Steel. 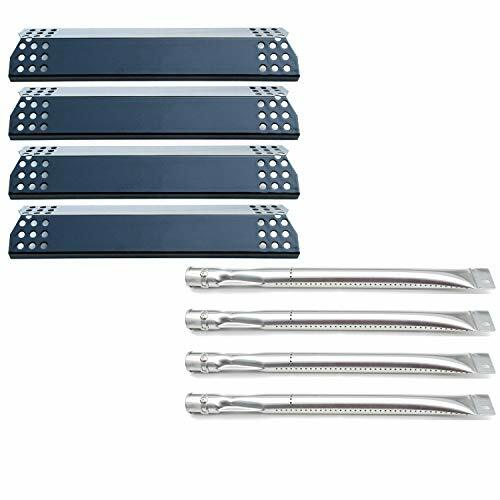 Provide more evenly flame than other materials, and last longer- Package: 4 packs- Part number: SS-HP003Specifications:Replacement for:- Sunbeam Grill Master: 720-0697, 720-0737, 7200697, 7200737, 720 0697, 720 0737- Nexgrill: 720-0697, 720-0697E, 720-0737, 720-0783E, 720-0825, 720-0830A, 720-0830D, 720-0830H- Kenmore: 122.3349241, 640-05861277-1, 720-0830A- Kitchen Aid: 720-0830A- Charbroil: 466242014- Members Mark: 720-0830F- Uberhaus: 780-0003, 7800003, 780 0003- Tera Gear: 780-0390. 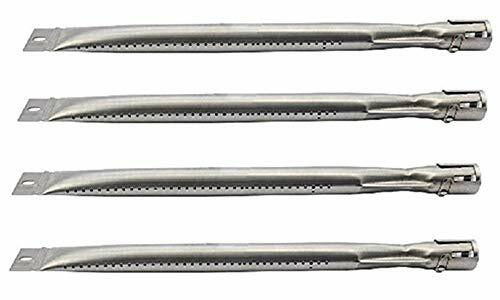 - Duro Models: 780-0390- Dyna-Glo: DGB-730SNB-DNote:- The replacement heat plates will last longer with proper maintenance. Every 2 months you should remove everything from your grill and degrease it. 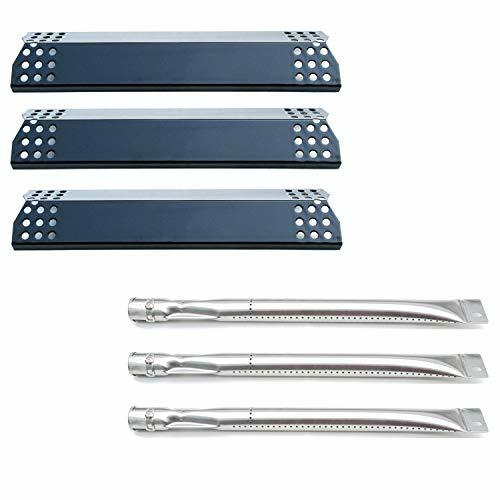 Never use a scraper on any interior grill part. - BE AWARE of the sharp edges when unpackaging and installing, better wear gloves. 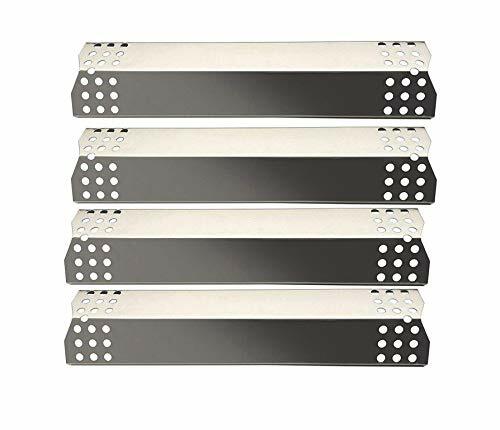 Vicool hyJ737A (4-pack) Porcelain Steel Heat Plate Replacement for for Gas Grill Models Grill Master 720-0697, Grill Master 720-0737, Uberhaus 780-0003, Nexgrill 720-0830H. Cooks better! 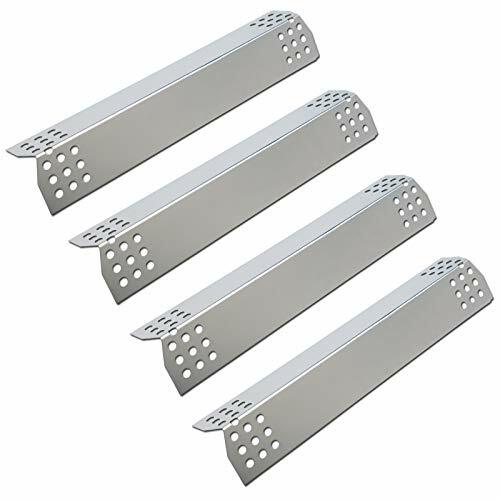 Lasts longer; Exact-fit parts; Durable Porcelain steel construction. 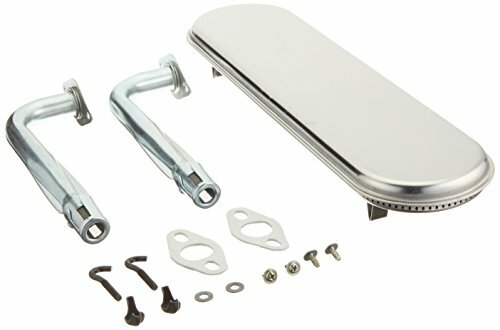 Compare prices on Sunbeam Grill Replacement Parts at Elevelist.com – use promo codes and coupons for best offers and deals. We work hard to get you amazing deals and collect all avail hot offers online and represent it in one place for the customers. Now our visitors can leverage benefits of big brands and heavy discounts available for that day and for famous brands.